I had an interesting experience on Sunday. My eight year old was drawing and oblivious to everything around him during our church meeting. I noticed the girl in front of him turn around and watch for a full minute. Two young boys in the row behind us peeked over the chairs to view the progress. The boys' parents were directly behind my son and could see the drawing without trying. And of course, my own children were interested in what he was making. When the meeting ended, I asked if I could see his picture. He immediately looked embarrassed and refused my request. He knows that I don't have a taste for a lot of what he draws (zombies, war scenes, and sometimes potty humor), and that's okay. However, I couldn't forget how many people I had seen observe the picture in that short space of time. And I wanted to impress that upon him. Later that day, I pulled my boys together and related this story. I emphasized that my purpose was not to embarrass the artist. He was not in trouble for keeping his picture to himself. But I pointed out that his picture was not really his own in the end. At least eight different people had seen it. Eight people had been affected, however meagerly. Our creativity is a great gift, and with it comes power. Whether or not we realize it, we effect change with every choice we make, and choices are really just exercises in creation--of art, of dinner plans, of the treatment of those around us. Be wise in the things you create in this world. They will change the world in big and small ways. A day later, I chanced upon this music video by TobyMac. 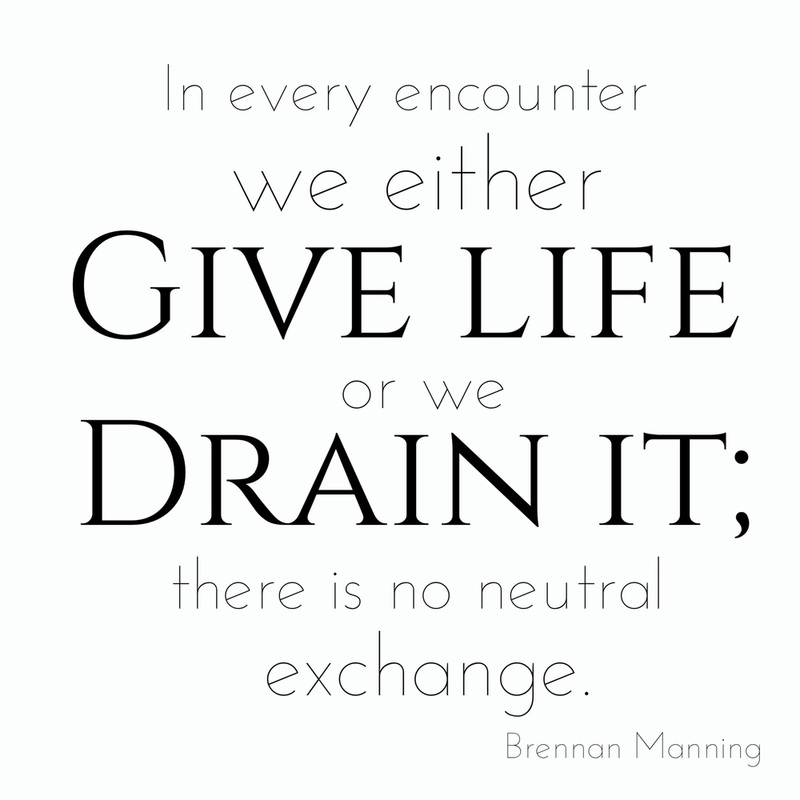 While it deals specifically with speech, I think we have the chance to speak life (ie. impart light) in every interaction and in every thing that we create. I hope my children will move forward with that truth in their hearts. I hope that I am the one that shows them the way. p.s. The quote above is going up on our fridge. Feel free to save the image and print one for yourself. It's a small file, but works great for the 5x5 size you can print at Costco.